Please call 585-377-4763 or feel free to contact me via email. How Does Collaborative Law Benefit Children? How Are Professional Experts Utilized In The Collaborative Process? How Do I Know If Collaborative Law Is For Me? How Is Collaborative Law Different From Mediation?  How Is Collaborative Law Different From Litigation? How Much Does Collaborative Law Cost? What Happens If The Collaborative Process Doesn’t Work Out? Where Can I Learn More About Collaborative Law? Collaborative law is a process in which family members and their attorneys agree to meet and help the parties identify and resolve their differences without resorting to litigation. The process usually results in a legally binding separation agreement and divorce. If the matter becomes litigated, the collaborative attorneys, and their law firms, must remove themselves from the case. The process begins by setting up a collaborative framework. This is done by the parties and their attorneys reviewing and signing a four-way agreement to honor the basic collaborative principles. There follows a series of individual client conferences and four-way meetings to identify and resolve the parties’ differences. The parties freely disclose their assets. They may choose to engage the services of an appraiser, financial advisor or mental health professional. Everyone works cooperatively and creatively to come up with an agreement or plan for the future. Your agreement is written down in a legally binding document and submitted to the court along with the necessary papers to obtain a New York State divorce. The collaborative process is client-centered. Clients determine how long the process will take. The parties, not a judge, are in control of the process and the outcome. Your attorney is present to give you information about the law, suggest options, and support you throughout, but the decisions you make are your own. The parties agree to full disclosure in advance. Resources such as child specialists, financial advisors, and appraisers are available when needed. Legally-binding agreements are more likely to be adhered to in the future because of the way they are reached. The process takes place in a safe, respectful environment. Collaborative attorneys recognize that parties have an interest in maintaining civility towards each other after the process is complete, and they conduct themselves accordingly. From the children’s point of view, divorce is frightening because their family is changing. They may worry that one or the other parent will leave them forever. They may think they did something bad to cause it all to happen. They may worry that they have to choose one parent over the other. In a collaborative divorce, both parents agree to work together to do what’s best for their children. This means they cooperate to make a plan for how each parent will be involved with their children in the future. Because their parenting plan is based on the real needs of their individual children, because it is made in a spirit of cooperation, and because it is not externally imposed as may be the case in litigation, it has a better chance of success. Children benefit because their parents’ plan restores stability and fosters strong ties with both parents. Your collaborative attorney may suggest or require that you and your spouse retain the services of a neutral professional such as a financial expert, appraiser, child specialist, coach, mediator, or the like. The cost of such expert is shared by the parties. The purpose of the expert is to offer advanced knowledge and/or skills and to make suggestions that are useful in resolving difficult issues. In addition to his or her technical expertise, the neutral professional has received training in how to effectively support the collaborative process, and generally becomes a valued member of the collaborative team. Do you believe it is in the best interests of the parties and your family that differences be resolved with minimal conflict? Are you AND YOUR SPOUSE willing to commit to a process that relies on honesty and cooperation? Are you interested in the potential for time saving, efficiency and maintenance of control that collaborative law offers? Do you want to avoid the harmful effects that litigation could have on minor children in your family? Do you want the support of legal counsel to help identify real needs and protect family assets? Do you AND YOUR SPOUSE want to jointly decide on a mutually beneficial post-divorce plan, rather than have someone else (a judge) decide how you will divide your marital assets and care for your children? In mediation, the parties meet together with only one mediator, who may or may not be an attorney. The mediator is committed to being neutral throughout the process. The parties usually discuss their differences, resolve them with the help and suggestions of the mediator, and reduce them to a written memorandum or agreement. Each party then takes that agreement to his or her own attorney for approval and preparation of the required documents. In collaborative law, each party has his or her own attorney from the beginning. Your attorney counsels you as to your legal rights and responsibilities. You and your attorney meet with your spouse and the other attorney in a series of conferences to discuss and resolve your differences. Both attorneys help create a safe place and organized framework for discussion. The attorneys then draw up a legally binding separation agreement and divorce papers as you and your spouse agree. For any litigation, the basic process is a lawsuit. In a litigated divorce, your attorney may first try to settle your case, but if negotiations fail, your attorney starts a lawsuit against your spouse. Because of this process, the negotiations themselves are carried on under the threat of litigation. If one or both parties want a judge to grant some immediate relief, the lawsuit may be started immediately without any negotiations at all. Most divorce actions are eventually settled, but the terms are heavily influenced by what the parties think the judge would do at trial. Some divorce actions are resolved only after a trial, with the judge making the final division of assets and the post-divorce plan for the parties and their children. In a collaborative divorce, the parties and their lawyers agree at the outset not to use litigation. Instead, in a series of conferences and four-way meetings, each party presents their reasonable needs, voluntarily discloses their assets, and works cooperatively and creatively to come up with a post-divorce plan. If there are pressing needs at any point in the process, everyone gives top priority to working out a temporary solution. The parties may jointly engage the services of a qualified professional, such as an appraiser, or a custody expert, to guide them. The parties retain control of the process until all issues are resolved and they direct their attorneys to prepare a written separation agreement and the necessary papers for an uncontested divorce. Collaborative attorneys are retained the same way any other attorneys are retained, at whatever rate and for whatever retainer fee you and your attorney agree upon. However, in a collaborative divorce, there are factors at work to keep the cost down. The most significant factor is that the parties themselves control how long the process takes and how much attorney time they use. After the initial guidelines are in place, the parties work together to gather information and resolve their issues in an orderly fashion with the input of their attorneys and other experts as needed. They schedule only as many meetings as they need, and when they need them. They are not bound by any court schedule. Litigation by its very nature tends to drive costs up, as the parties may get angrier over time and find more issues to fight about. The collaborative process, on the other hand, tends to calm people down. They are in a setting that helps them think rationally and solve their differences reasonably. Collaborative attorneys are cost-effective even if you choose to mediate. Remember, attorney approval is usually required of your mediated agreement. Collaborative attorneys strive to cooperate to resolve any remaining issues not resolved in the mediation process. If the collaborative process breaks down, the parties must find other attorneys to litigate their divorce. Neither collaborative attorney, nor anyone in their law firms, can ever represent either party in court. The parties agree at the outset of the collaborative process that all consultants will be disqualified as witnesses and their work product will be inadmissible as evidence, unless the parties agree otherwise in writing. Click on the “Resources” page of this website.